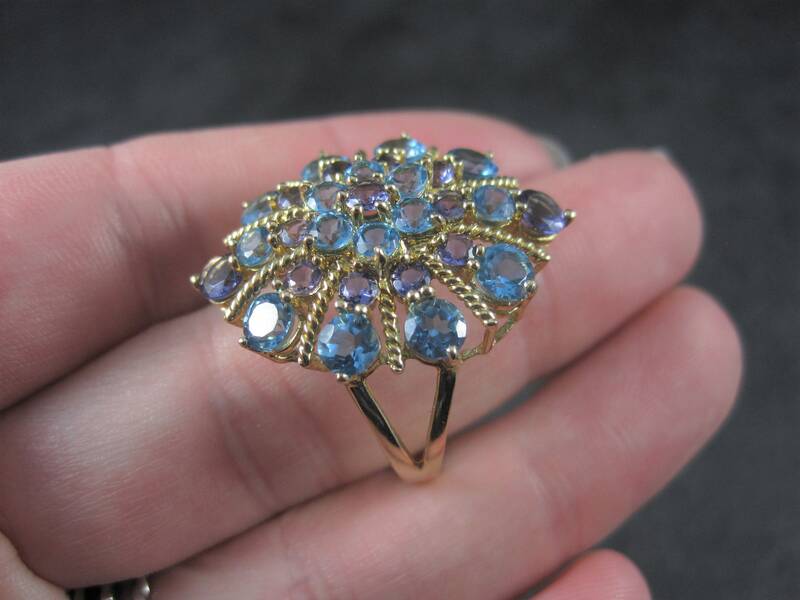 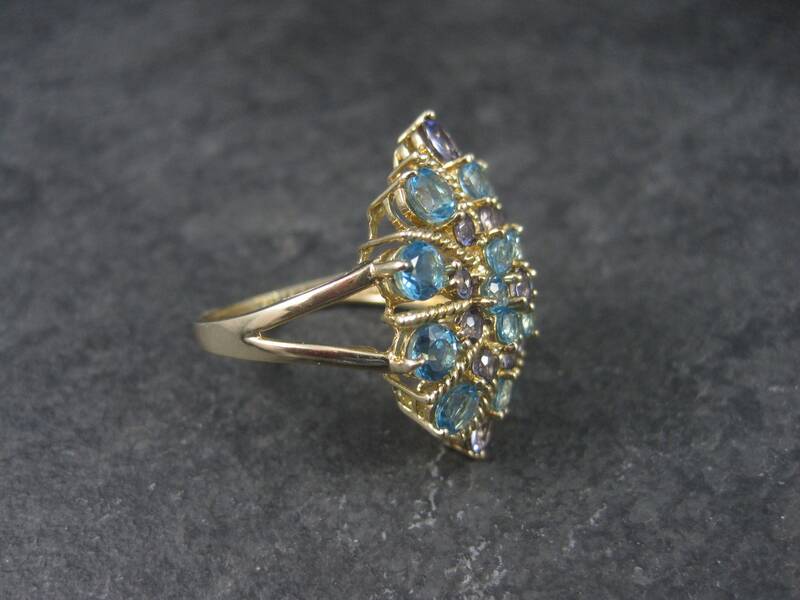 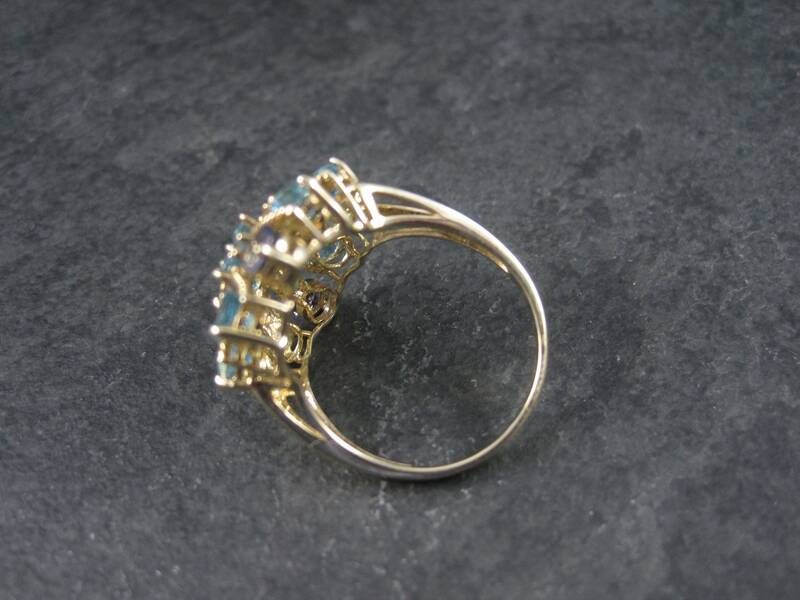 This stunning 90s ring is 10k yellow gold. 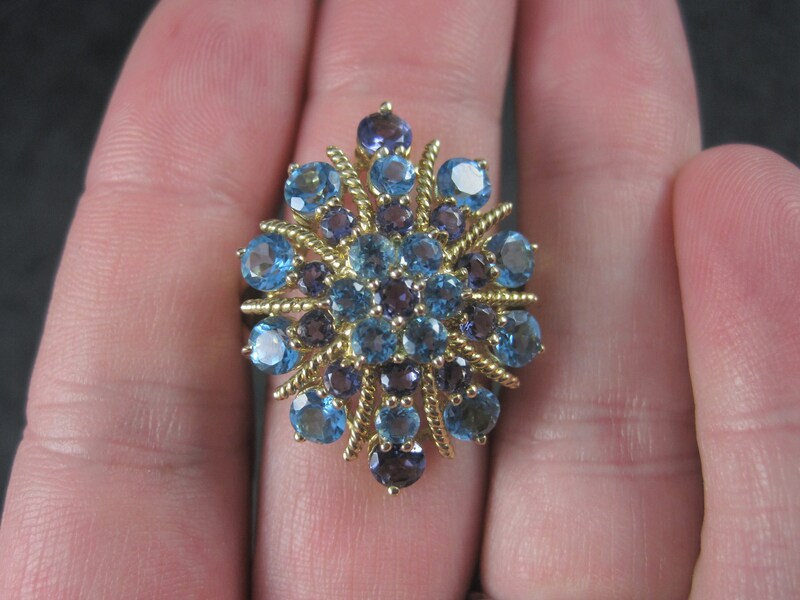 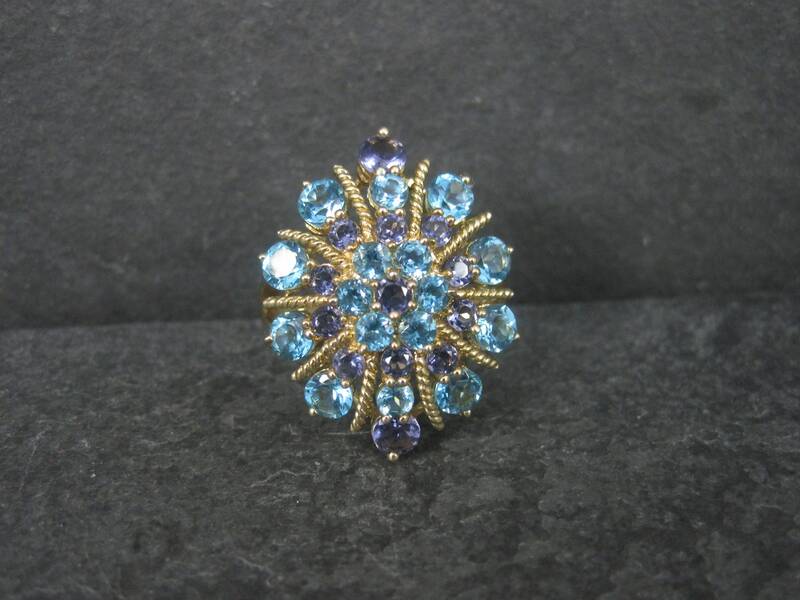 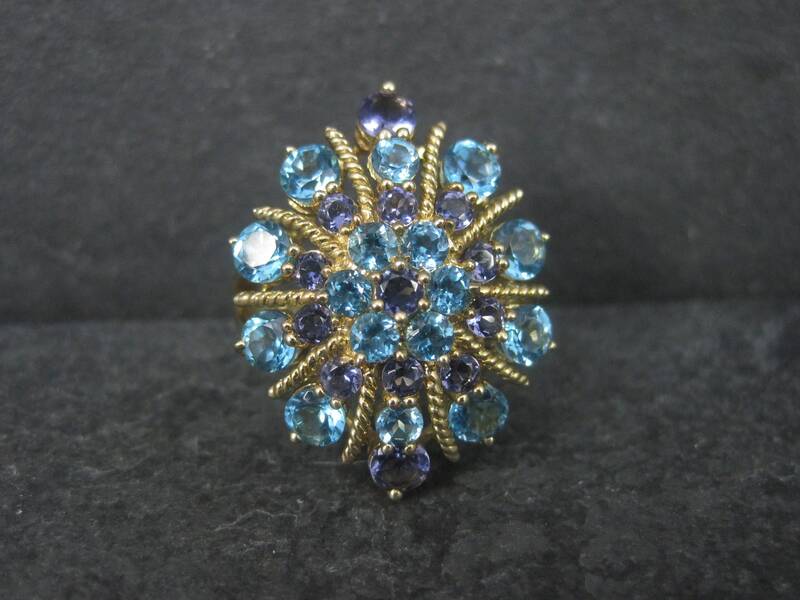 It features an estimated 2 carats in round blue topaz and .95 carats in round amethysts. 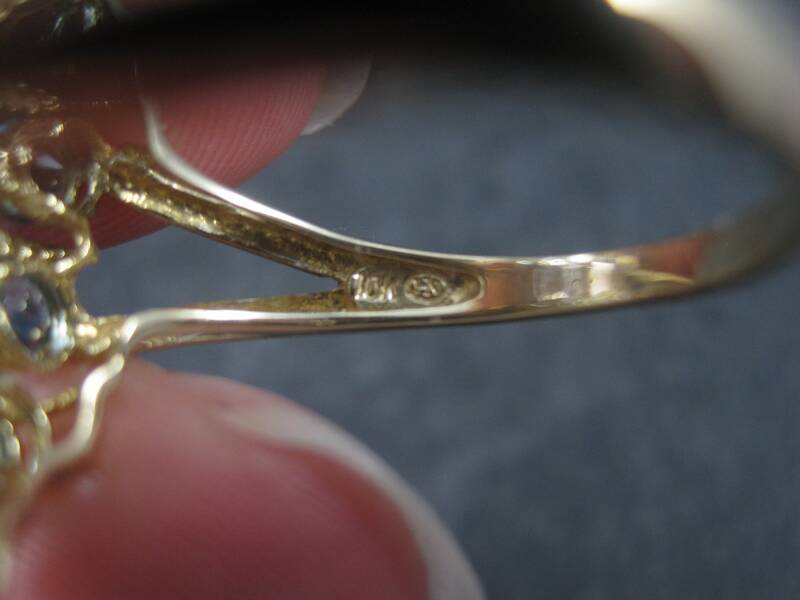 The face of this ring measures 7/8 of an inch east to west, 1 1/8 inches north to south.